Septic tank pumping is important if you have a septic system installed on your property. Septic tank pumping can keep your system running in a trouble-free manner. Regular septic tank pumping can prevent any scum and sludge buildup that accumulates in the tank. This buildup can clog drain lines and lead to sewage backup. Septic tank pumping should be done every 3 years or so to maintain the overall efficiency of the septic system. When you have regular septic tank pumping done your septic system should not need a costly replacement. Septic pumping costs are far less than the cost of replacing the entire system. Septic pumping also gives you peace of mind that septic tank problems will not be a problem. 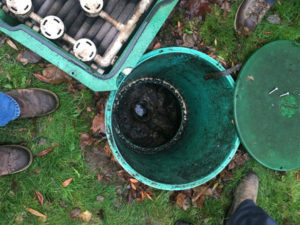 Septic tank cleaning is something most property owners neglect. To keep your septic system in good working condition, you need to seek regular septic tank cleaning. Regular septic tank cleaning will prevent problems which could lead to costly repairs. 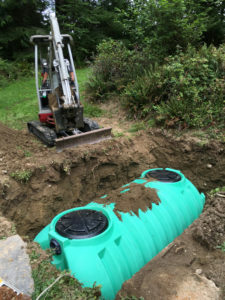 Waiting too long to call for professional septic tank cleaning will lead to long-term damage of your tank, leaving a costly replacement the only option. If you want to avoid costs and hassles in the long run, schedule a septic tank cleaning in Lake Tapps. We have experienced technicians available to perform septic tank cleaning. Why Should Lake Tapps Residents Choose Us for Septic Pumping? Allow us to help you keep your septic tank up and running. We offer professional, affordable septic pumping services in Lake Tapps and the surrounding areas. We use state of the art equipment, such as vacuum trucks, to pump out all the sludge and scum buildup. Environmentally friendly methods are later used to dispose of the waste. If you are not sure about the last time you scheduled a septic pumping service, call us for a septic inspection. To learn more, or to schedule a septic pumping service in Lake Tapps or the surrounding areas, feel free to call VAC-TEC LLC at Tacoma – (253) 777-4887 Seattle – (206) 339-0039 Olympia – (360) 338-6686 North Dakota – (701) 566-0045. We look forward to helping you!